You don’t get recall elections unless there’s some serious anger going on in a city’s publioc affairs. 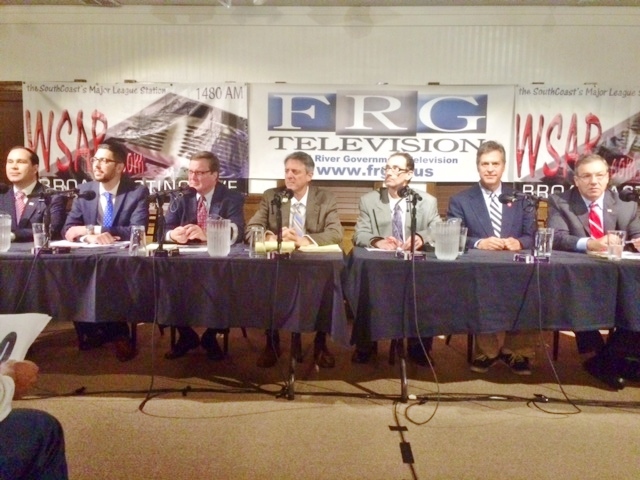 Serious indeed are the accusations that gave rise to Fall River’s mayor recall election, and last night, at BK’s Beacon Tavern, the full gamut of anger and accusation was unleashed at Mayor Flanagan by several of his challengers. 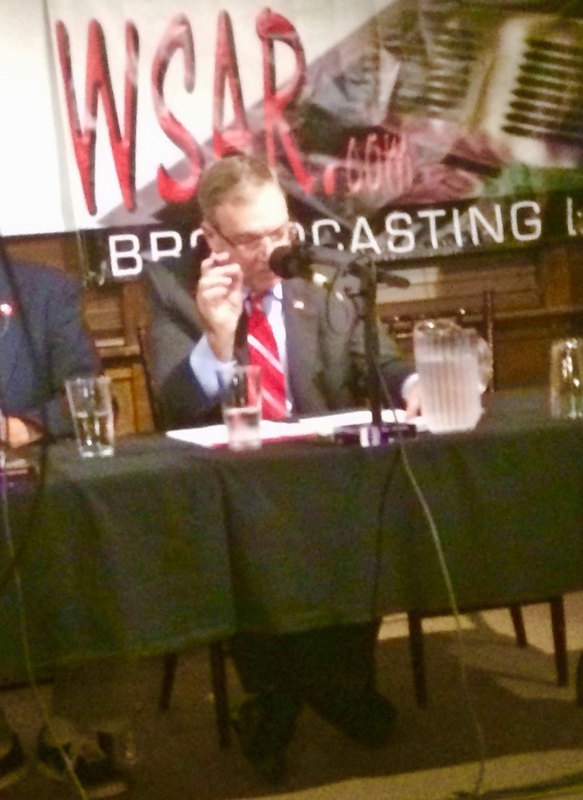 As negatives are haht a recall is about, and not good when unvoiced, it was healthy to hear what is being said, off stage, all over the city about mayor Flanagan voiced in full public view at the WSAR-hosted Forum. And there is plenty : surprise cuts in the city budget, a pay-as-you-throw recycling initiative instituted without any City Council input; a “culture of chaos” as one challenger put it, at City Hall; the “window-gate” contract mess. The recall people gathered 5,500 valid petition signatures. Clearly many people in Fall River don’t like at all the way Mayor Flanagan the dark-eyed, smug look of offended dignity, nose in the air; the almost hilarious self-justifications; the defense of policies which he talks a good game of but not implemented. As the attacks on his ways and actions grew more and more specific — charges thrown by candidates Mike Miozza, Sam Sutter, Paul Anderson, and even the soft-spoken Shawn Cadime — Flanagan responded ever more self-justifying, proud of voice like an emperor in a stage play. Sutter joined the Miozza attacks — he said that people he’s talked to in the Flanagan administration tell him the Amazon proposal is just that, not a done deal — with an few of his own, more general in scope than Miozza’s specifics. 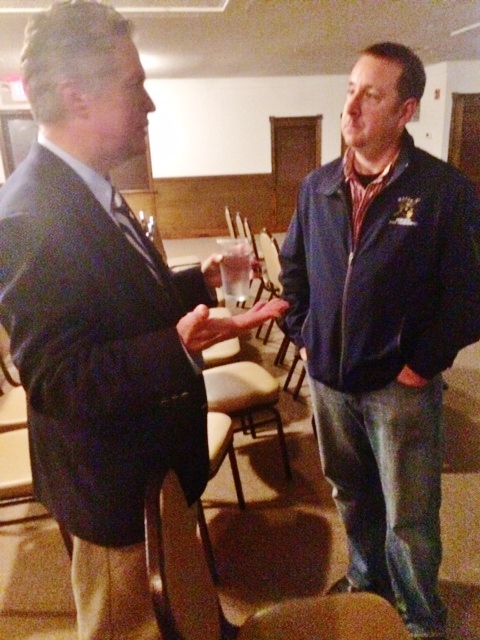 Sutter’s message is that he has a vision for thde city’s future and knows how to plan ahead; and he cites, uite convincingly, his eight-year record as Bristol County District Attorney. But Sutter was unable, or unwilling, to give a full answer to panelist Ken Hartnett’s very pointed question : why are you running for Mayor only one month after being re-elected as District Attorney ? It’s a good question. My perception is that for Sutter it’s first of all personal ; Flanagan was his protege (he had worked in Sutter’s DA office) and is angry at having his name associated with the mayor’s chaos.” But i suspect that many all river people implored him to run; that they weren’t happy to see the mayor replaced by Miozza, who as his chief opponent on the City Council, might well, as Mayor, simply prolong the two men’s personal battles. Anderson voiced the campaign’s biggest themes, moral and ethical imperatives with far wider provenance than just the recall itself. More directly than any of his rivals, Anderson thus appealed to voters’ disgust with governemnt (and one-aprty rule) in general. He won much applause. Quiet though he is, and wonky, Shawn Cadime levelled specific budget item ttacks on Flanagan that the Mayor could not, or would not, answer. Flanagan flashed anger at Cadime’s charges — much, I am sure, to Cadime’s delight. his supporters applauded him noisily. Still, my impression, after attending two debates and talking to many all River people, is that the fight is between Flanagan, Sutter, and Miozza. And the actual outcome is as likely as not to be a Flanagan victory. The first balloit question, “should the mayor be recalled,’ will win easily. But Flanagan is sure, in the second ballot part, the vote for a successor, of winning the votes of all who chose “no” on the recall. Whereas the votes of those who vote “yes” will be split. And not only between Sutter and Miozza. The question for Flanagan will be, how many people will vote “no” on the recall ? If only ten percent of those who vote choose “no,’ he is probably done even with a split second vote, and either Sutter or Miozza will take over. Observers whom I talked to, however, think the “no” vote will be 30 percent,. If so, Flanagan will likely win the second vote. If that happens, it will be a bad victory for the entire city. Flanangan has the look anmd emean or of a man who will wreak payback and enjoy wreaking it. It won’t be a happy time for a city that needs some happiness if it’s to transform its economy — as it must. 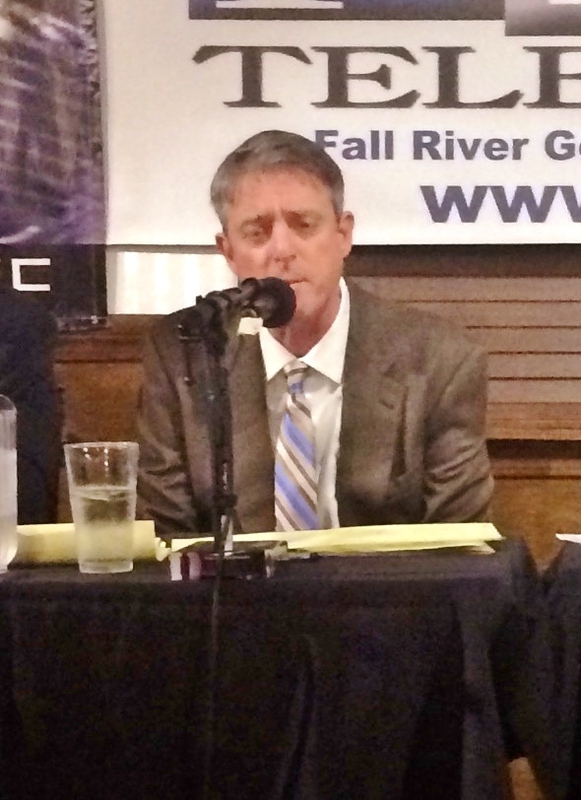 Fall River mayor recall : Last night’s Mayor recall debate brought out all the attacks and accusations…at last.